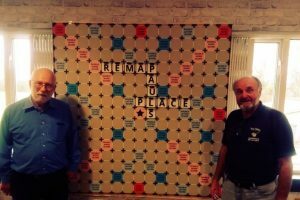 When we met Remap at Kidz to Adultz South, James was 4 years old. He is 5 now. He has vocal cord palsy which means that he can only speak with a very quiet voice, due to a paralysed vocal cord. It isn’t a problem at home, but when there is any background noise it is extremely difficult to hear him. 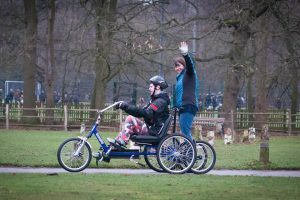 It created quite a problem in his educational setting in particular, but we also found it difficult when out walking with him in his wheelchair and in the car. He was very patient about repeating himself but we were very concerned that he would get fed up with people not being able to hear him and get discouraged from trying to talk. At nursery, he rarely interacted with other children, and we felt this was at least in part because of the difficulties in communication. Most young children don’t have the patience of (most!) adults, so when they can’t hear him they tend to quickly give up and move onto something else. The only medical solution is steroid injections which carry significant risks and can’t be done this young. We felt sure that there must be technology out there that could help us, but drew a blank. The specialist children’s hospital that we attend said that there simply isn’t anything available suitable for children. We had tried a voice amplifier that is really intended for adults but it wasn’t suitable for a number of reasons including lack of sensitivity (his voice was too quiet to be picked up by the lapel mic) and size (the amplifier was far too big for a small child and impractical when he was active). So imagine my delight when Remap asked if there was anything I could think of that could be invented to make our lives easier – I think they were a bit surprised by my detailed and enthusiastic response!! The most important one for me, is that James is talking to his peers! He is at school now and is able to communicate with his friends. He has so much more confidence when interacting. He can be heard in the classroom and so can contribute independently to discussions and whole group work rather than having to having to rely on the voice of his 1:1 TA. This too has helped his confidence. He can be more independent as we now feel more confident that we will hear him if he needs help – rather than having to keep him in sight at all times. 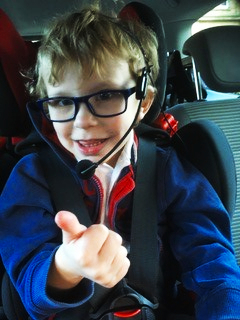 Car journeys are so much easier – we can hear what he is saying which reduces everyone’s frustration! 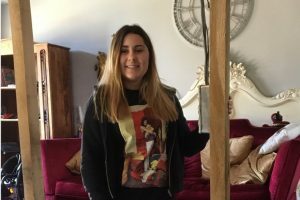 Going out in the wheelchair is also easier – we used to have to stop very frequently to bend down and hear what he was saying – now I just place the speaker on the handles next to me. So much better! I love this story his teacher told me – he came back into the classroom wearing his mic with the volume turned up and announced to the class ‘I’m back!! !’ He could never have done that before. 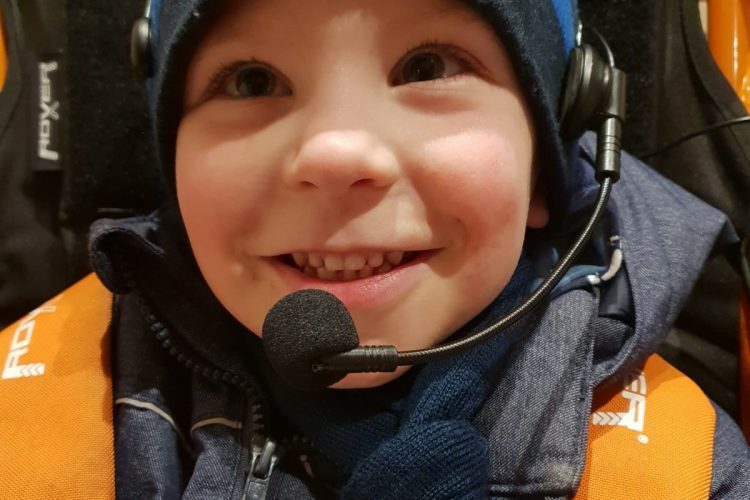 Our speech therapist was very interested in this project and feels it will benefit James hugely, both now and long term as hopefully it will protect his voice from further damage from straining to make himself heard. So a huge thank you from our family and especially James. Remap is a fantastic charity with remarkable people like Niall. Amazing. Technical details for this project are available on MakeAbility.